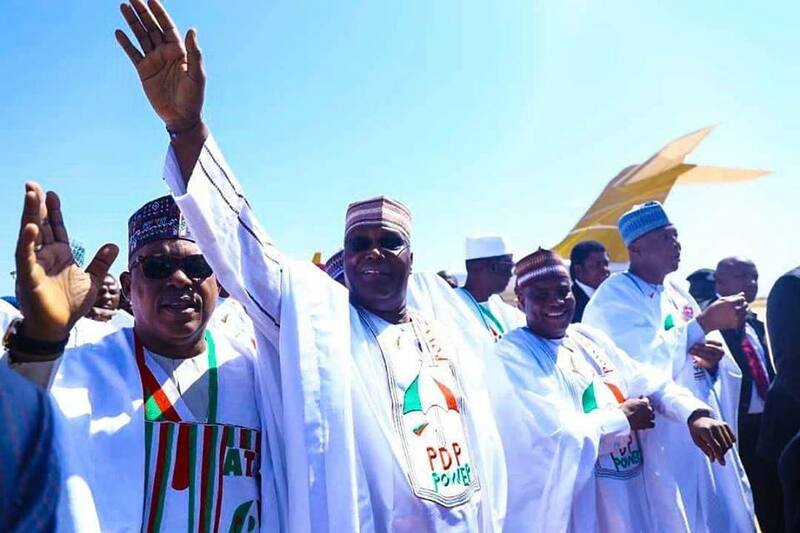 The Peoples Democratic Party, PDP, presidential candidate, Atiku Abubakar, has reacted to claim by the All Progressives Congress, APC, National Chairman, Adams Oshiomhole that he will lose the 2019 presidential election. Oshiomhole had yesterday said God will punish both former President Olusegun Obasanjo and Abubakar which will translate in President Muhammadu Buhari defeating them in 2019. He had spoken to newsmen after receiving APC women leaders from Edo State in his office in Aso drive, Abuja. The former Edo State governor reminded Obasanjo that he swore that God should punish him if he ever supports Atiku to become the president. Reacting to Oshiomhole’s remark, Abubakar, through his Media Aide, Paul Ibe said Buhari would be retired to his Daura home town after 2019 elections. Ibe warned that the APC National Chairman should prepare for the fate that awaits him, President Buhari and his party in 2019. Speaking with Vanguard, Ibe said, “It is not political soothsayers like Oshiomhole that will determine the outcome of the elections but let it be known to him that President Buhari will not only be defeated, he will be retired to his beloved Daura in 2019.